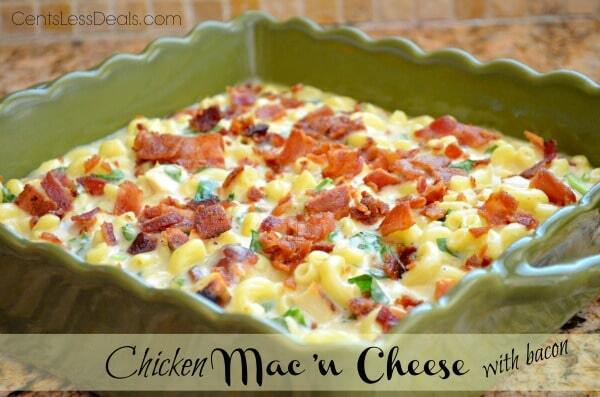 This Chicken Mac ‘n Cheese with bacon is the most perfect comfort food!! It’s so yummy and actually easy to make!! It was a huge hit with my kids, even my two who cannot stand any green veggies 😉 They ate it in peace and even asked for seconds! Maybe this has magical powers…. 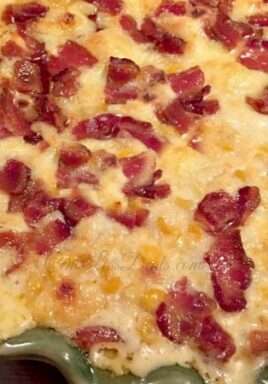 Be sure to follow CentsLessMeals on Pinterest and check out our other great recipes while you’re here! 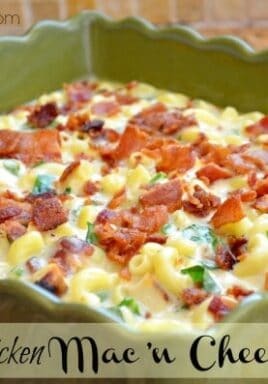 This Chicken Mac 'n Cheese with bacon is the most perfect comfort food!! 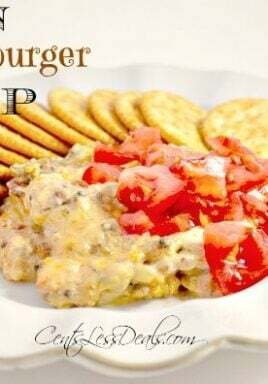 It's easy to make and is a a huge hit with the entire family. In large saucepan, over medium heat, melt stick of butter. Once butter is melted, turn heat up to medium high and slowly stir in flour to make a roux. Slowly add the milk 1 cup at a time and stir continuously. 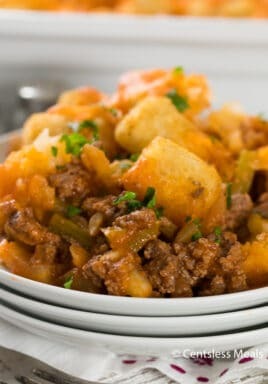 Once the consistency is thickened up a bit and more sauce-like, slowly stir in the cheddar cheese. Turn off heat and stir in the chicken, 2/3 of the bacon crumbles (reserving a bit for topping) and fresh chopped spinach. Once well mixed, season with salt and pepper to taste. After sauce is seasoned, mix in the macaroni noodles and stir until well combined. Once mixture is combined well, add into a greased 9x13 baking dish. Sprinkle remaining bacon crumbles on top. Bake at 350 degrees for 20 minutes or until bubbly.